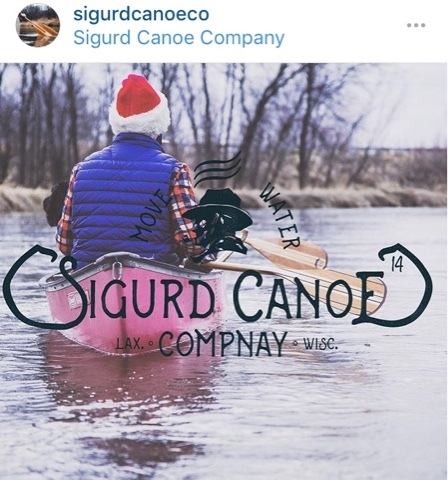 FOR THE LOVE OF WOOD ~ Jamie Cooper & Sigurd Canoe Co. by Mike Toughill | DBP MAGAZINE ONLINE The World's Best Free Whitewater Publication. Dirtbags love their paddles. Both subjectively and objectively, they call to our hands to be held, to our eyes to be beheld. 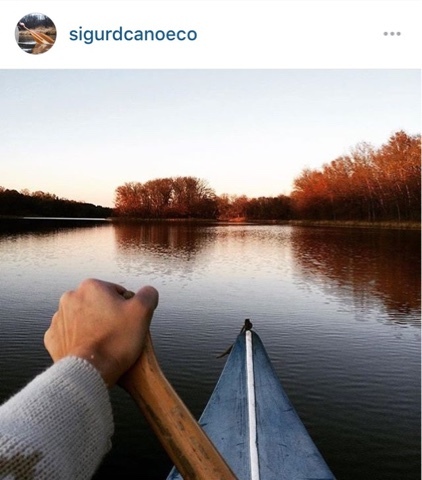 A true dirtbag will confess she or he loves paddles, especially the one(s) we depend on for safe passage down The River. It is the primary means for propulsion and direction, our tool, our salvation. 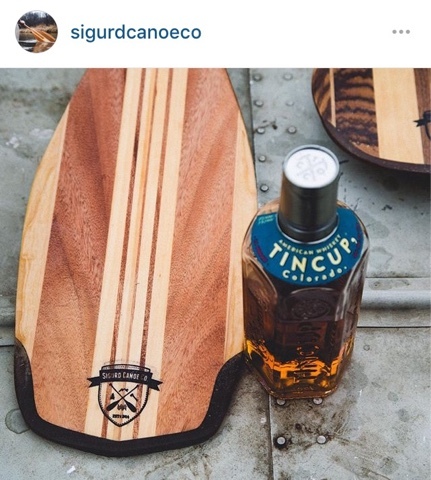 A well crafted paddle is a work of art, a thing of beauty. I’m drawn to them, particularly in retail settings. 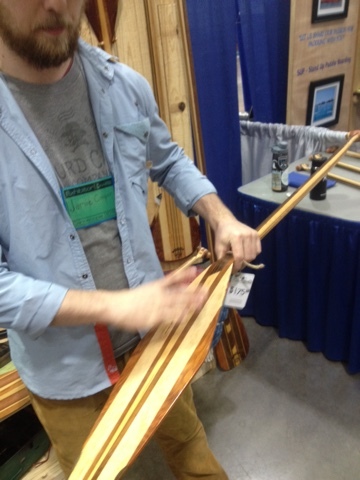 So when I saw a booth full of hand crafted wood paddles at Canoecopia in Madison a few weekends ago, I immediately went over and enjoyed them, and their maker, Jamie Cooper of LaCrosse, WI. 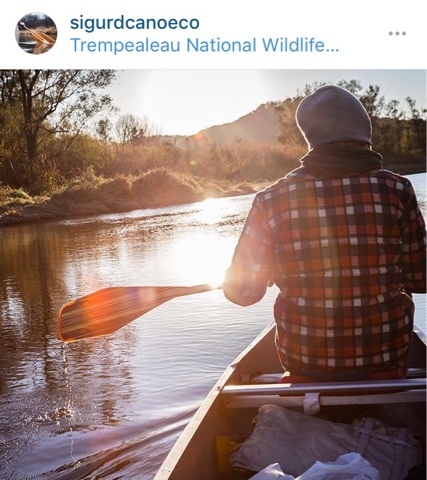 The sleepy city, located on the banks of the Mississippi where it is joined by the LaCrosse River, has the heart of a true river town, and is located within a few hours drive to some amazing whitewater. I spent a few minutes talking with him about his art and our shared passion. 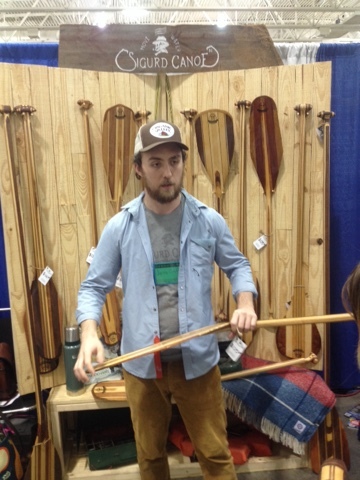 “As you were able to see at Canoecopia, I have a pretty wide variety of blade styles and wood choices. I’ve been doing a lot of research on ancient blade profiles and what native peoples of different parts of the world have used, taking a lot of inspiration from that while combining it with the modern twists for enhanced efficiency and feel in your hand while paddling. I do everything from Polynesian outrigger style paddles to your traditional beaver tail and voyageur paddles with everything in between. Some of my styles aren’t going to be your typical paddle; I’ve been playing around with some fun designs, throwing straight edgy lines on a beaver tail, putting it to a point and tossing that on a 14 degree bend for the added reach. Super awesome paddle that is definitely a head turner and fun paddle to use. They are indeed beautiful. 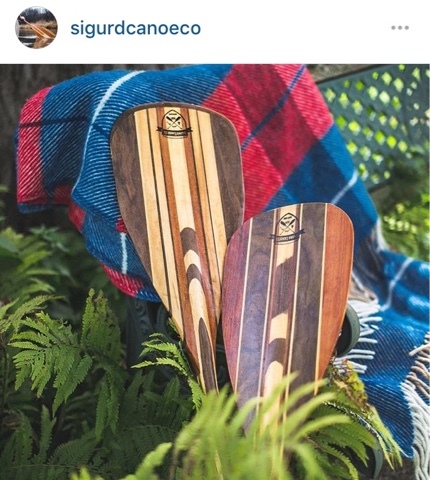 If you love paddles like Jamie and I do, are in the market for a good wood paddle, and want to support an up and coming dirtbag artisan… Well now you know! EDITOR’S NOTE: We’ve run a few other stories on top rank wood paddle makers. HOT TIMES, COLD RIVER ~ Cato Falls & The Manitowoc Hometown Throwdown.by Val Jean D. Marcoe, action photos by Lynn Fretchel Lennert.